As a solitary witch, I sometimes need a little extra inspiration for my rituals. That's fine - we all feel that way occasionally. No one can write perfect ceremonies for themselves all the time. Even gathering all the components can be a chore, especially if you are busy. 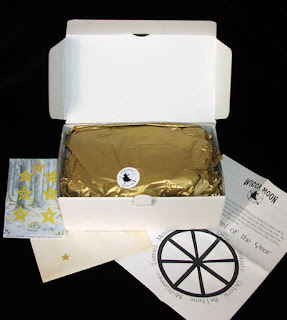 For novice witches, having help getting started is even more important - and Wicca Moon's new Wheel of the Year Ritual Boxes are perfect. Wicca Moon's Imbolc kit is the first in the series, for the pagan festival on February 1 to celebrate the first stirrings of spring. You can buy just one kit at £45.99 or subscribe to get the whole eight, plus a ninth dedication ritual box. Ritual bath salts - handmade at Wicca Moon and perfect to cleanse yourself before a rite. 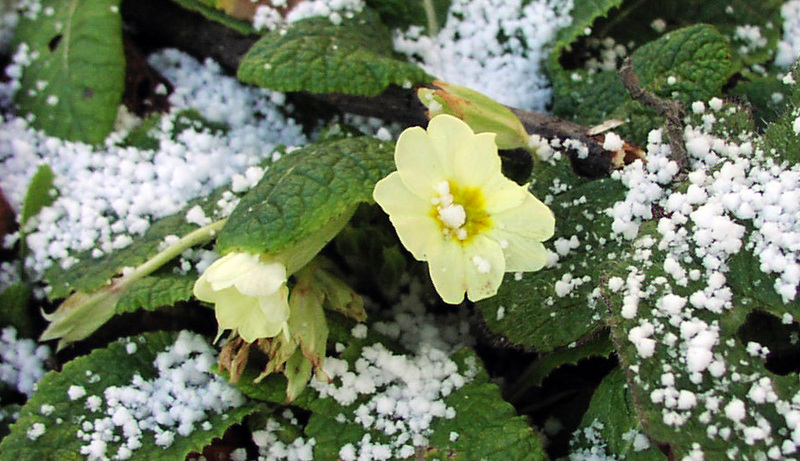 A hand-stitched white altar cloth with a coloured border, to represent the snow and frost that can cover the earth at this time of year. I was delighted to find it was the perfect size to cover the top of my coffee table, which I often use as an altar. Ritual feather fan. This represents the element of air and can be used to waft sacred smoke. Yellow and green candles to represent the first shoots of new growth and the returning light of the sun, as well as the element of fire. You will need your own candle holders to put these in. Smudge stick. Many cultures use the smoke of burning herbs to suffumigate sacred space. Tied bundles of dried herbs, sometimes called smudge sticks, are one of the most popular methods of doing this. Abalone shell. This represents the element of water. You can use it to put your smudge stick in after you have finished suffumigating your room. A pentacle. This is a symbol representing the element of earth, among other things. In Wiccan rites it is traditional to place things on a pentacle to be blessed or charged. Loose incense. This is handcrafted at Wicca Moon and contains ingredients that represent the season. You will need to put this on a charcoal block in an incense burner, which is not included in the kit. Ritual oil. Again handcrafted at Wicca Moon, it can be used to anoint yourself and your ritual tools and symbols. A picture of the Goddess Bridget, often honoured at Imbolc. Chalice. This is probably my favourite part of the kit. It is a delightful little hand-thrown pottery goblet. Chalices represent the womb of the Goddess. For this ritual it should be filled with sheep or goat's milk, which you can get at supermarkets. A clear quartz crystal to use in the ritual. A scroll containing the words and instructions for the rite. The ritual itself is beautiful. I'm not going to go into too much detail about it, as I don't want to give away any spoilers. Over the years I've done numerous outdoor rituals or travelled long distances to covensteads at Imbolc and nearly frozen my toes off in the process. I took the snowy photo to the left before one of them. This year, I'm looking forward to staying at home in the warm for my Imbolc ritual and using my kit from Wicca Moon to celebrate the season. If you are a novice witch and want more help about how to go about doing the rite, Shirlee from Wicca Moon will be running a podcast to give more information via the shop's website: http://www.wiccamoon.co.uk/. 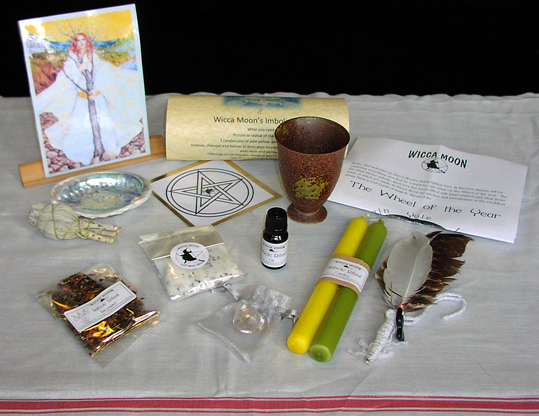 Wicca Moon is a lovely, friendly pagan shop at 50 Well Hall Road, Eltham, London, SE9 6SH.